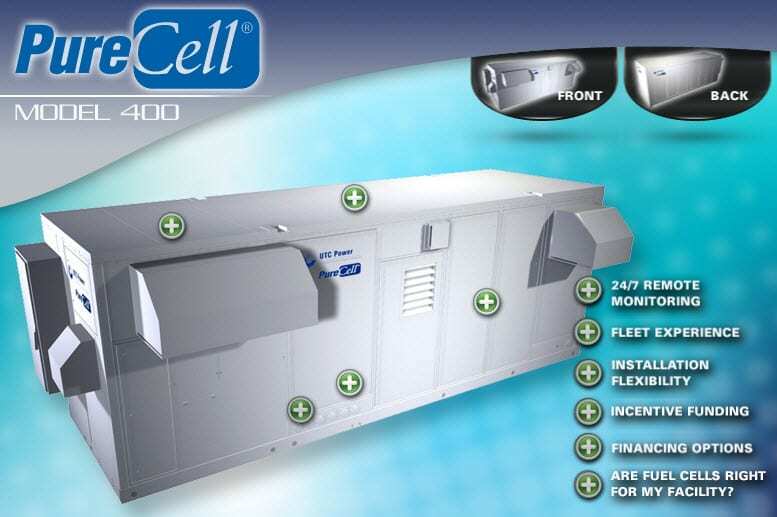 The United Technologies Corporation has announced that its stationary hydrogen fuel cell, the PureCell Model 400 System fleet has accomplished 100,000 hours of operation. The energy generated by the fleet is enough to power more than 3,000 homes for a year. 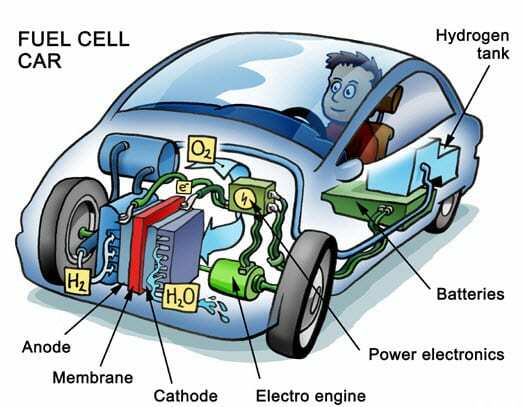 The PureCell is being hailed as one of the most quiet and energy efficient models of fuel cell. The UTC claims that the PureCell is four times as durable as other commercial fuel cells systems in the same class and has a 10 year cell stack life. “By providing clean, efficient and continuous energy for buildings, fuel cells have become a proven and crucial component to the energy independence roadmap,” said Mike Brown, vice president of government affairs for UTC Power. The PureCell can provide more than 400 kW of continuous electrical power and produces more than 1.7 million Btu/hour of heat energy. The system has a 90% efficiency rating, which lowers the energy costs and allows for reduced emissions. e 1,000 multi-family homes. The homes run entirely off the hydrogen fuel cell, which is guaranteed to provide heat and electricity for at least 10 years. The demand for such fuel cells is on the rise and the UTC has made upgrades to their production center to better accommodate the demand. They have outfitted the facility with fuel cell fabrication robotics, which will assist in the production of the fuel cells, as well as cutting edge testing stations.